Stop dreaming about what your body could look like and make it a reality with Venus Legacy™ body contouring! No matter what your body shape, skin tone, diet or exercise plan is, it becomes harder to lose pockets of fat with age. We also develop cellulite. Venus Legacy™ is a nonsurgical facial and body contouring treatment that reduces inches, smoothes, and diminishes cellulite. Skin Vitality Medical Clinic is the first provider of Venus Legacy™ treatments in Canada, and the top provider in the Greater Toronto, Mississauga and Kitchener areas. Venus Legacy is the strongest, deepest, and largest device on the market for the body to help conditions such as cellulite, loose skin, stretch marks, and circumference reduction. Venus Legacy, with Sculpt Fx™ and Lift Fx™, outdates its predecessor Venus Freeze, and utilizes a patented technology that combines both multi polar radio frequency (RF) along with pulsed magnetic fields (MP)². These two types of energy work in synergy to effectively deliver remarkable clinical results on the body for skin tightening, cellulite and circumferential reduction. It also helps beautify the complexion on your face by reducing lines, wrinkles and saggy skin. Venus Freeze technology delivers Multipolar Radio Frequency and Magnetic Pulse Therapy to the skin to produce a dense and uniform heat matrix. This causes collagen synthesis and contraction, fibroblast proliferation, neovascularity and lipolysis. Venus Legacy™ utilizes a patented technology that combines both multi polar radio frequency (RF) along with pulsed magnetic fields (MP)². Venus (MP)2 technology uses a dense energy matrix, which penetrates multiple layers of skin, heating uniformly from the inside out. By increasing tissue temperature, FGF-2 hormone activity is enhanced, and triglycerides located in the fat cells are broken down and fatty acids are freed from the fat cells. In this way, volume can be reduced producing circumferential reduction.The blood flow in the treated area is improved, enhancing skin tone and texture. Vitamins, minerals and oxygen are carried more easily to the cells, and toxins and waste materials are removed. Skin tightening is another result of the treatment, as tiny new blood vessels are formed in the treatment areas and dermal fibroblasts are created; fibroblasts then increase the number of collagen and elastin fibers. New collagen and elastin creation results in tighter skin and filling in of wrinkles/wrinkle reduction. Cellulite is an extremely common problem, characterized by the dimpling and uneven texturing of skin, that mostly effects women (and, although less so, men as well) from puberty onward. It is caused by a natural process wherein the subcutaneous fat found in our connective tissues has herniated — that is, pushed out past the cavity or wall that is supposed to contain it. Once this fat has protruded past its barrier it becomes visible on the skin, appearing as an area that is bulkier than normal or with a texture that is often described as looking like that of an orange-peel. Most often, cellulite is found along the stomach, legs and pelvis.While cellulite isn’t a scientific term, it’s an easily understood name for a skin condition that physicians have recognized and recorded since at least the 1920s. Cellulite isn’t unhealthy or dangerous but it is extremely troubling for the vast majority of people (some 80-90% of women) that suffer from it, mainly due to its unappealing appearance. Which Factors Contribute to Cellulite? The appearance of cellulite is, unfortunately, just a common aspect of aging and the natural changes that take place in the human body. Doctors have studied the formation of cellulite but have been unable to adequately understand exactly how to stop its formation. Despite this, there are a few factors that are known to contribute to its development.Hormones and genetics are mostly pointed to as the most prevalent cause of cellulite. Since so many women suffer from cellulite in comparison to men, many physicians believe that estrogen, a hormone naturally produced in the female body, may play a large role in creating it. Unfortunately, because of a lack of reliable clinical support, doctors are unable to properly identify this as a main cause — and offer solutions based on it. Genetic history and other predisposed traits (like race, biotype and others) have been known to lead to cellulite production as well and, along with hormones, are currently being studied in hopes of finding medical treatment options. A healthy diet, adequate level of exercise and proper hydration have been shown, by some, to help reduce cellulite — something which is good news for those of us with genetics and hormones that don’t work to our favour! Keeping fit, drinking plenty of water and avoiding fatty or sugary foods can work to reduce or prevent cellulite. Stress may also play a role in cellulite production too, providing yet another reason to recommend relaxing massages that help with the blood circulation and lymphatic drainage necessary for letting the body rid itself of cellulite. The FDA-approved solution to cellulite, Venus Legacy™, is also a great way to reduce and get rid of the condition. Lack of education regarding cellulite has made many of us fall into the trap of believing things about it that are simply not true. Fortunately, we’re here to help you separate the facts from the lies. The truth is that cellulite is just a form of fat. Fat combined with fluids or toxins is the perfect recipe for cellulite. Cellulite is located underneath the skin taking the shape of small dimples. Cosmetic treatments aren’t just a way to minimize or remove the presence of cellulite but also a way to tighten the skin. There are many cellulite removal treatments that can be a suitable solution: Venus Freeze™ and Venus Legacy™ are just two effective nonsurgical methods. Almost every person without knowledge would say that cellulite affects only women, but we know that’s simply not true. If you’re a man, don’t think your cellulite is weird – men of all different body types all over the world get it. It is true that cellulite is more common in women than in men, but that has to do more with the fact that scientists have found that cellulite is the result of estrogen (the “female” hormone).The most common areas where we can find cellulite are the buttocks and thighs, but the stomach, calves or even upper arms are also areas that can be affected.Not just for the overweight: Does cellulite really occur more often on the bodies of the overweight? Not really – science has proven that it’s more your genes and body type that are factors. Even athletes training intensively can get cellulite! This one came about because some people thought that the carbonation of soda could contribute to the formation of cellulite. That would mean anything carbonated would cause cellulite, including naturally carbonated spring water! This is a myth. 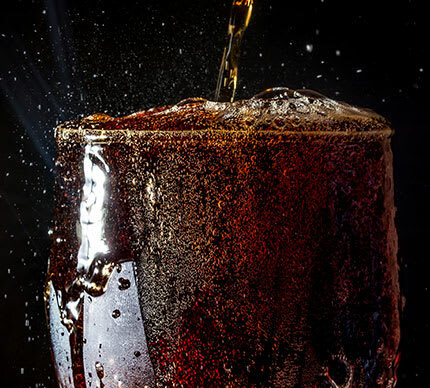 Cellulite cannot be caused by drinking soda and other carbonated beverages, unless you drink copious amounts and live an unhealthy lifestyle (which can affect skin quality and make you put on weight). Is this really a good way to get rid of it? Because cellulite is a form of fat, exercise can help you get rid of it. However remember that even athletes can develop cellulite, so exercise is not the only solution and won’t guarantee its reduction. A healthy diet and lifestyle can also help. These may be more of a preventative measure, however once you’ve developed cellulite, it can be very, very difficult to get rid of it. Again, body contouring methods like Venus Legacy™ are usually the most effective methods of reduction and removal. The number of treatments varies from patient to patient based on concerns. Please call 1-877-356-7776 to speak to a certified medical consultant to find out what treatment plan will be suitable for you. No! This treatment is designed to be pain free. The applicators deliver heat beneath the skin to break down deep-levels of fatty tissue. Some individuals find it to be comforting and relaxing. 3. Are the treatments safe? Yes! Radio Frequency and Magnetic Pulse Therapy have been used in medicine for many years and are FDA-Approved, proven, safe and effective technologies. Our Medical Consultant’s will review your medical history and your aesthetic goals to see if the Venus Legacy™ treatments are right for you. 4. Is there any downtime? There is absolutely no downtime with Venus Legacy™. A treatment to one area takes less than 30 minutes, and has no adverse side effects. You are able to have a treatment on your lunch break and return to work right away. 5. What should I expect immediately following the procedure? Most patients typically see results after the third treatment, however many have noted results even sooner. With FDA approval, Venus Legacy has documented its results to last a minimum 18 months, but will continue to last on going if one session per quarter is maintained after the series. 6. What can Venus Legacy™ with Sculpt FX™ do for me? 7. Is this treatment just affecting water weight? No. unlike other procedures that may affect water, but not really get deep into the fat cells, Venus Legacy does not affect water content in the cells, but rather it target’s the fat molecules deep under the surface of the skin. 8. How long has this treatment been around? Venus Legacy™ has just been FDA approved in Canada, and our Mississauga Clinic Location is the first clinic in the country to carry this new technology. It’s predecessor, Venus Freeze™, has been around since 2011. You may have some temporary redness in the area, which usually resolves within an hour. You will want to be active after the procedure as the triglycerides are being released, as to not have them reabsorb back into the fat cells. You don’t necessarily need to exercise, as even mild movement will do, as long as you just don’t go to sleep right away. 9. What body parts can be treated with Venus Legacy? 10. What should I wear to my appointment? We recommend wearing washable clothes, as the gel we use could get onto clothing and possibly leave a stain. However, we do try to protect your clothes carefully when performing the treatment. You can call us anytime at 1-877-356-7776 for further questions, or to schedule a free consultation. Ask us about our special offers! *Please Note: All patients must undergo our medical consultation with one of our licensed physicians prior to receiving prescription medication. Some restrictions apply.